Windows 10 is equipped with several applications, and where large numbers of applications are available then there are chances of error, as there will difficulty in providing the resources to each application. If adequate resources are not given then the applications will not process and system hangs up. So, the only option left to repair Windows 10 system is by resetting it. A new dialog box will pop-up with ‘Keep My files’ and ‘Remove Everything’. Click on the Keep My files option, this is mandatory if you don’t want to remove personal files and folders. The process to reset the PC will start and you can simply change the Window default settings without any loss to data. It is advised to connect the adapter with computer during reset process, so that the system does not turn off. In many cases situation arises where the system fails to boot and not able to load windows. In such case we should go for Advanced Boot options. This will requires a windows installation disk or a bootable USB drive with windows.iso file in it. This will repair the errors with windows and reset PC. In certain situations, reset deletes some files and thus user face huge loss. To professionally recover Windows, you can use the Windows Data Recovery software. This intelligent tool deep scans the computer files and collects the errors and thus removing the need to reset PC. It is easy to use and have great user-interface, just launch the software and it will do the entire task itself from repairing to recovering files. 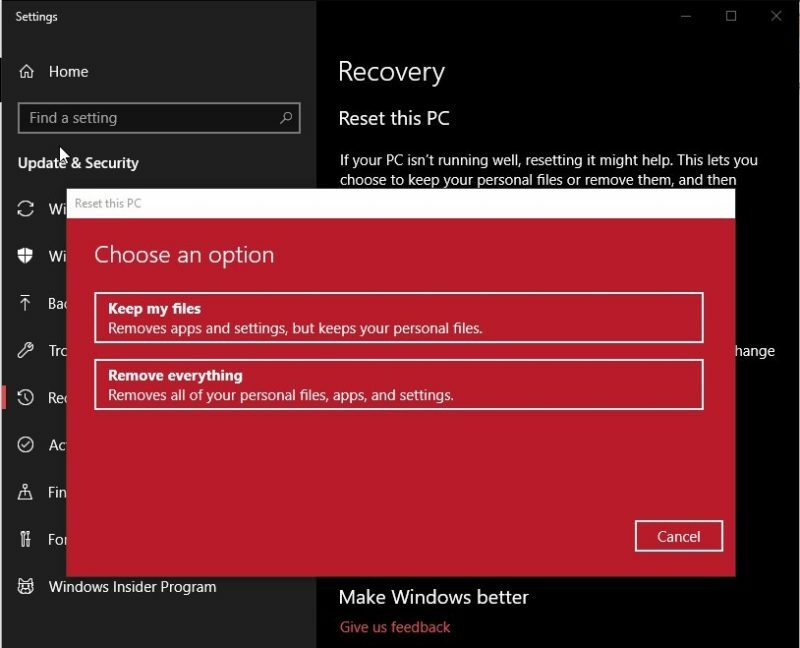 Try the Windows Data Recovery Software for Free.